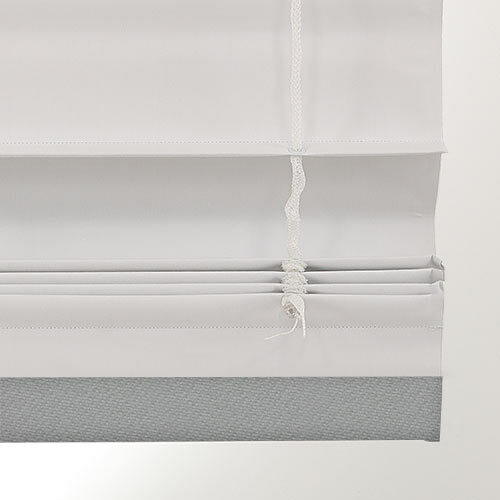 All Continuous Cord Loop shades come with a satin nickel metal beaded chain. 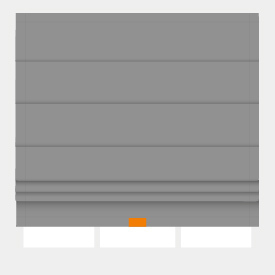 The lift cord lets you raise and lower the blinds. Choose which side you want the lift cord. You’ll want to collect one of each of the exquisitely elegant roman-style fabric shades in our Designer Roman Collection II. 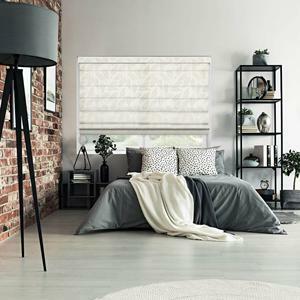 Supple and sophisticated, these stately flat-fold romans have never looked better than draped on your windows in this captivating collection of colors, subtle textures and playful patterns! We’re not yanking your chain, either. Installation and operation of these robust roman window coverings is smooth and flawless, with your choice of two standard lift systems. Go cordless to easily lift and lower them with the touch of your hand. 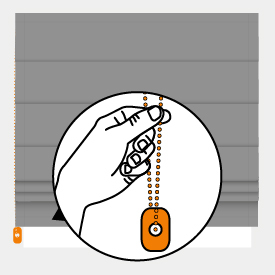 On wider windows, they’ll operate beautifully with a metal continuous cord loop chain designed with a special, patented gearing to reduce the pull force needed to operate larger-size treatments. Get that classic, cascading effect only real romans can provide. Start with some free samples to see how our Designer Roman Collection II will resonate with your own design sensibilities. 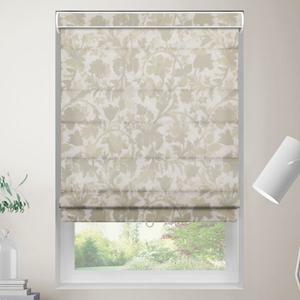 Fabric roman shades may have wrinkles in the material after installation. Most minor wrinkling will smooth out over several days. For quicker results, you can use a garment steamer or iron on the back of the shade, being careful to avoid direct contact with the fabric. Factory will deduct 5/8" from the fabric on continuous cord loops & 3/8" off the fabric on cordless on inside mount orders, to ensure a proper fit. Factory will deduct 1/4" from the headrail on inside mounts to ensure a proper fit. All fabrics are light filtering. 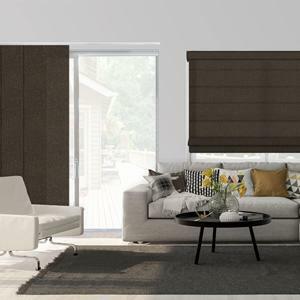 Customize with a blackout liner to provide more privacy and light control. 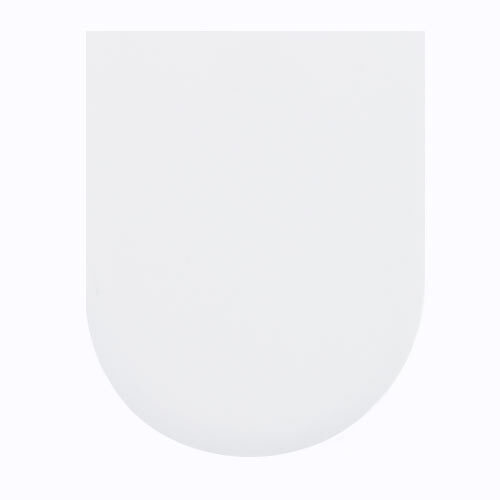 Optional blackout liner is white on street-side to conform to HOA guidelines.